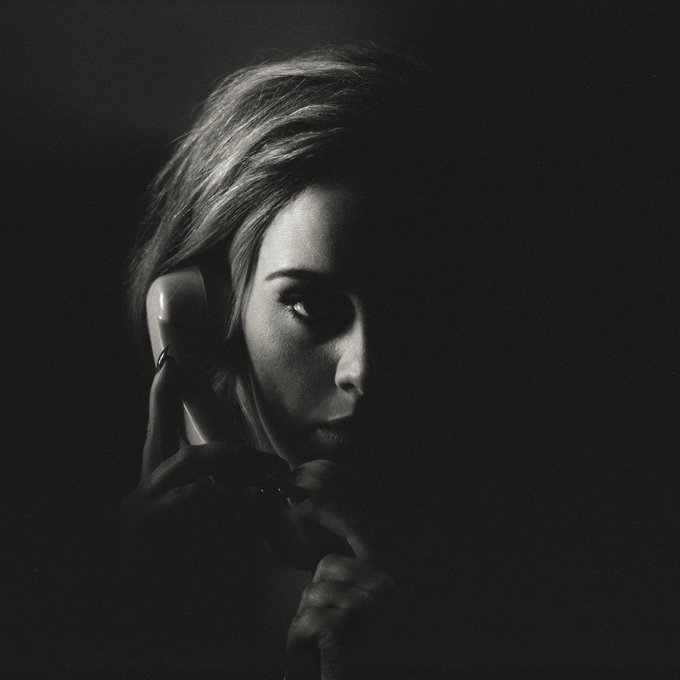 • It looks like Adele’s new single ‘Hello’ is on track to premiere at No.1 on tonight’s ARIA singles chart. The single has been at No.1 on the Australian iTunes store since its release last week and the singer’s local label has confirmed that the single smashed through the gold sales barrier (35,000 copies) in less than four days. The ARIA charts are revealed at 6pm AEDT tonight (we’ll also have Chart Watch live here on the site at the same time). • Ahead of the release of her new album ‘Eternal Return’ this Friday, Aussie favourite Sarah Blasko has dropped a new song called ‘Luxurious’. “‘Luxurious’ is definitely the most delicate song on the record and offers a respite from all the layers of synths that inhabit the rest of the album,” Sarah says of the song. “It was written with my two close friends and collaborators Ben Fletcher & David Hunt. I remember how still the room became when we stumbled upon it. It felt like something special then and it does now too.” Listen to the song HERE. • It’s already smashed the No.1 spot on the UK singles chart, so it makes sense plenty of sense that the team at Ministry Of Sound has started the ball rolling on the local story for the KDA/TinieTempah/Katy B collaboration ‘Turn The Music Louder (Rumble)’, which was officially serviced to media yesterday. The track prevented One Direction from claiming the No.1 UK mantle with ‘Perfect’. • The Darkness has confirmed a deluxe edition of their latest album ‘Last Of Our Kind’ will drop towards the end of November. The new version contains four new songs – ‘Messenger’, ‘Always Had The Blues’, ‘Million Dollar Strong’ and ‘I Am Santa’ – alongside the ten from the original LP. It’s out on Friday November 20, just a week after the last in their run of Australian shows. 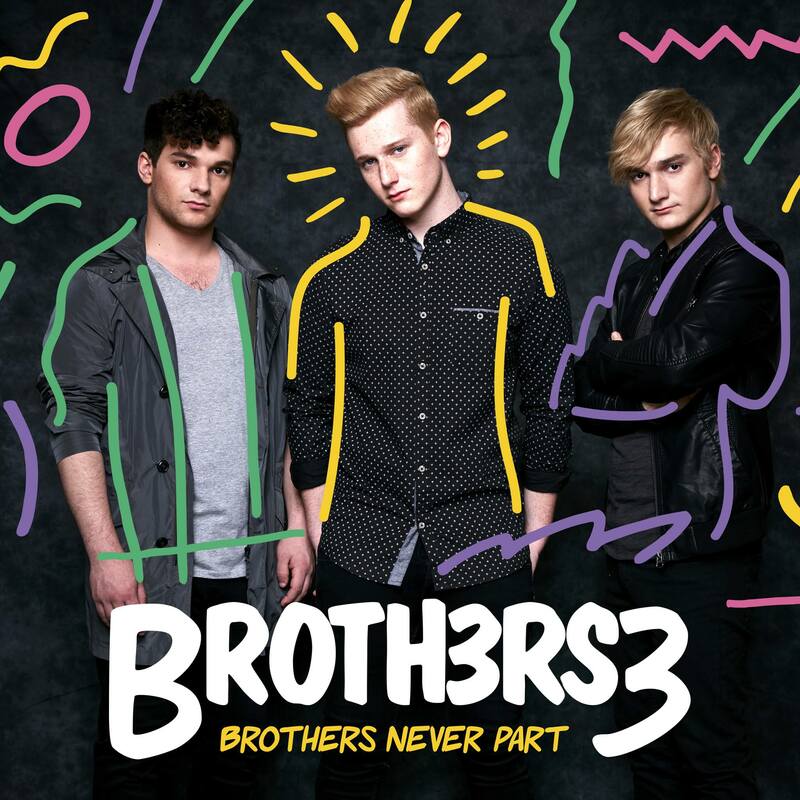 • Former ‘X Factor’ favourites Brothers3 will release their new album ‘Brothers Never Part’ in the middle of January. The boys confirmed the project on their socials late last night and in a statement to the media say of the LP, “It’s about our experience after ‘The X Factor’. We learned so much throughout the entire process; it pushed us beyond our limits each week. As brothers, we became even closer and it helped us realise that whilst we could easily just do pop covers, it was important to stay true to our country roots in some of our material and to write a few of our own songs.” ‘Brothers Never Part’, due on January 15, is their first major label album release – through Warner Music. 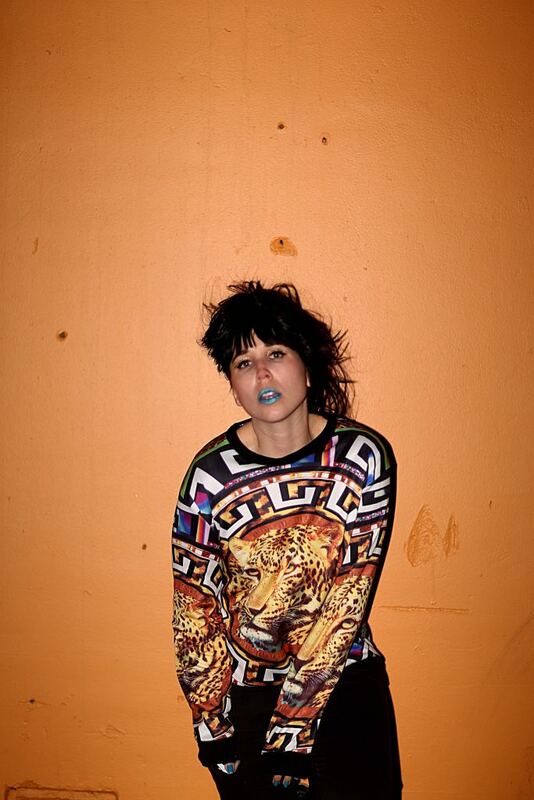 • Are you a budding female electronic performer/producer? Or do you know someone who is? Then you may want to get them in touch with the team from Xelon Entertainment, who are giving five lucky females the chance to score themselves a money-can’t-buy delegates pass to this year’s Electronic Music Conference in Sydney on December 01 and 02. You’ll be needing all the details, of course, and you’ll find them HERE. • Some of Australia’s favourite names in pop will come together to celebrate Christmas at Sydney’s Myer Carols In The City. To be held on Saturday December 12, the show will take over the stage at the Luna Park Big Top, with performers including Guy Sebastian, Tim Omaji, Kate Miller-Heidke, ‘X Factor’ contestants Jess & Matt, In Stereo and The Fisher Boys, plus Fatai, Emma Pask and more. Tickets are on sale now. • Little birdy frontwoman Katy Steele is ready to treat her hometown fans to a very special live solo show to preview material from her upcoming debut solo record, which we’ve been warned is “bouncing, crystalline and full to the brim with hooks” and “catchy and danceable”. With a lead single no doubt due to drop prior to Christmas, Katy will hit the stage at Jack Rabbit Slims in Perth on Friday December 18. Tickets are on sale now. • It’s Halloween, right? Well it’s no trick that the gangs from Acid Stag & Mammal Sounds have quite the treat for you… a line-up of top-shelf talent (including Midnight Pool Party, Back Back Forward Punch and Golden Vessel) playing the Oxford Art Factory in Sydney tonight. Spooky. • That Missy Higgins Twilight At Taronga show as part of the zoo’s summer concert series? It’s sold out. So the Aussie favourite has confirmed a second and final show in amongst the animals – on Valentines Day, no less. Tickets for the new date are on sale now. • The final pieces of the Lost Paradise puzzle have arrived, with organisers confirming that the line-up for the December 29, 30 and 31 event in the gorgeous Glenworth Valley in New South Wales, will now include Hot Dub Time Machine, Daniel Avery, Hayden James, Sampa The Great, World Champion and A.D.K.O.B. They’re joining the swag of already-confirmed top name talent, including Angus & Julia Stone, Jon Hopkins, The Jungle Giants, Seekae, Tkay Maidza, I Know Leopard and many more. • Like there was any doubt who’d be holding the No.1 crown in the UK this week… Adele’s ‘Hello’ is primed to take top spot across the planet, but in her homeland, she bagged more than 333,000 sales within one week to smash her way to top spot, bulldozing all that came before her. Justin Bieber must be seething that he didn’t release ‘Sorry’ the week before; it debuts at No.2, while Drake’s ‘Hotline Bling’ is up to No.3 and Sam Smith’s ‘Spectre’ theme bounces back to No.4 from No.11. Last week’s No.1 (from KDA, Tinie Tempah and Katy B) drops to No.6. • The boys from 5 Seconds Of Summer might be finding it hard to get a hit on the singles chart these days, but they’ve done rather nicely on the albums side of things, with their sophomore album ‘Sounds Good, Feels Good’ debuting in the No.1 spot on this week’s UK albums chart. In fact the entire top five is made up of new entries this week; No.2 : Bryan Adams’ ‘Get Up’, No.3 : Andrea Bocelli’s ‘Cinema’, No.4 : Paul Heaton and Jacqui Abbott’s ‘Wisdom Laughter And Lines’ and No.5 : Daniel O’Donnell’s ‘The Hank Williams Songbook’. Jamie Lawson’s self-titled set drops from No.1 to No.7 and there’s another new entry – at No.10 – from Joanna Newsom’s newbie ‘Divers’. • Still no change to the No.1 position on the singles chart Stateside, with The Weeknd still holding fort in pole position with ‘The Hills’. Again, the top three remains steady, but Shawn Mendes and Taylor Swift both move up a position at the expense of Fetty Wap. The new One Direction single ‘Perfect’ debuts at the perfect number ten. • Selena Gomez has already vacated the number one position on the Billboard 200 albums chart. But Demi Lovato’s big campaign to claim the top spot with her new album ‘Confident’ falls flat. Yes, Demi debuts at No.2, but it’s vocal group Pentatonix claiming No.1 with their new self-titled LP. Machine Gun Kelly’s ‘General Admission’ books its ticket into the number four spot and The Game’s ‘The Documentary 2.5’ is new at No.6, but Selena’s ‘Revival’ drops from No.1 to No.7. Coheed And Cambria wrap the top ten debuts this week; ‘The Color Before The Sun’ premiering at No.10. • That’s your Saturday edition of The Purge all done and dusted. 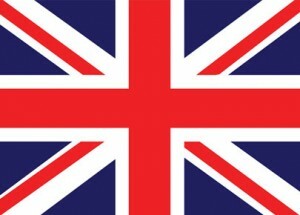 We will, of course, be back from 6pm AEDT with our weekly look at the Australian top 100 charts in Chart Watch. See you then.